After a decade of submitting his poetry to contests and magazines, Josiah Bancroft "just didn't want to do it anymore." He was tired of waiting for other people's approval, tired of the process, and frustrated by the amount of success he'd been able to achieve in the genre. But he wasn't tired of writing: He had an idea for a quirky fantasy novel set in the 19th century. Bancroft decided to give himself one year to finish the book. 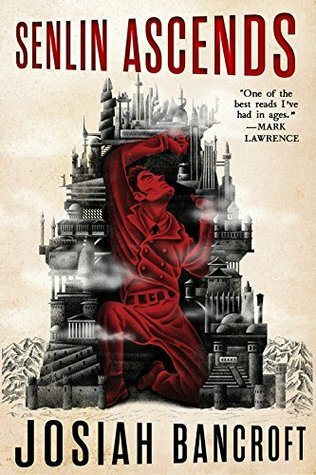 The result is Senlin Ascends, the first book in a four-part fantasy series. It's a gripping tale that's been praised for its engaging plot as much as its poetic prose. The story follows Thomas Senlin, a small-town school headmaster who takes his wife to the Tower of Babel for their honeymoon. Once they arrive, Senlin realizes that the Tower is not the pinnacle of culture and technological advancement, as he has always believed, but in fact it's a treacherous den of thieves and tyrants, where no one can be trusted. And when his wife disappears, Senlin must navigate the Tower's bizarre layers in order to find her. Originally self-published in 2013, Senlin Ascends was no instant success. Bancroft estimates it sold just 250 copies in its first three years. Last year, after the book caught the attention of some high-profile fans, it was sold to Orbit (an imprint of Hachette Book Group), which releases it this month. Bancroft talked to Kerry Shaw about his unlikely ascent in the publishing world. Goodreads: I'm interested in your unusual path to publication. Why did you go the self-publishing route? Josiah Bancroft: It wasn't a second choice; it was my first choice. The reason I decided that, even before I began writing the book, is because I knew it was going to be a little strange. I didn't want to compromise the idea I had in my head. I had read so many accounts of writers taking their carefully crafted novel to an agent or a publisher and hearing, "We like this, but can they all be robots in space?" And I was like, "I don't want to compromise. I have a very clear vision." GR: What were you afraid that you'd have to compromise? 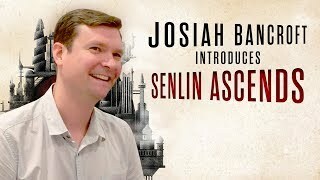 JB: One of the main things I knew would be a sticking point for some publishers was the protagonist, Senlin. I think there's this wrong idea that readers only want to read about very strong, very virtuous protagonists who have what I call "false flaws"—like they don't think they're pretty enough or don't believe in themselves quite enough. And those are not real flaws! Yet some publishers are more comfortable presenting that sort of protagonist to readers. I personally don't find that interesting. I want to read about someone who is flawed, who needs to grow. When I started writing Senlin, I thought, "This guy can only improve." I presumed that there would be some pushback from publishers with a character like that, and they'd say, "Can you make him, like, a little more handsome, more active, more certain, more capable?" I didn't want to do that. So that's just one element of the book that I thought they'd want to fiddle with. And I was not looking for input. I decided that if I went the self-publishing route, it would probably mean that I'd have a smaller audience, but they would be very interested in my strange book. And I didn't want a filter between me and that niche audience. And it was completely naive. If I had a time machine, I would go back and tell myself, "You have no idea what you're signing up for. This is not how you go about this!" GR: What advice would you give someone who wants to self-publish? JB: The advice I was given was very good, and I'd repeat that to somebody else: Set specific and realistic goals. The worst thing you can do as a self-publisher is say, "I'm just going to put this out there and see what happens!" Because if you do that, the answer is: nothing. Nothing happens! You have to have a complete vision of what you want to do, and that needs to be reasonable. When I self-published, my goal was to sell 500 copies of the book. That was helpful. But the rest of the stuff, like how to connect to a readership, how to engage social media, I had no idea how to actually do that. The ensuing three years was me trying everything I could think of. I would read a self-publishing blog post about why you should definitely try Google Ads or Facebook Ads or why you should submit to this contest or do this thing. I was running around and trying my hand at a thousand different things, but I didn't have a lot of focus. And so the advice I'd give to anybody who's going to undertake this is: Set goals and be focused. Pick your platforms and do them well. Don't try to do everything. GR: One of the big challenges I've read about with self-publishing is finding readers. Was that your experience? JB: Absolutely. I certainly struggled with finding an audience. What worked best for me was selling the book directly to people at conventions. I'd go to comic cons and book fairs with my little stack of books and flaunt them in person. And that worked out well because it was easier to identify people who were interested in what I was producing. And it was easier to form a bond, which is sometimes hard to do over the internet. You're loosely related to everybody but not really connected to anybody. GR: I've never bought a book that way. But what a connection you then have with readers who turn around and love your writing. JB: Right. It was the most uncomfortable thing in the world for me! I'm not an outgoing person, but I was told by many friends that if you could have that moment and form that connection, you had a fan for life. It's a little odd to sell books at cons. The first book I sold, I was like, "Really? You're gonna buy this? OK…all right…here you go." It felt like a surprise. GR: After that, how did people find out about it? Word of mouth? JB: No. If I had just continued along the same path, I would have achieved my goal of selling 500 books and had a rabid, though very small, cult following. But what happened was, I got to a point in the spring of 2016, where I was pretty discouraged with the whole process. For three years I'd been going to conventions, spending money on advertisements, spending my weekends trying to figure out ways to disseminate the book. I wasn't sure if I wanted to do that anymore. I was running on empty, just in terms of passion for the project. One of the last desperate acts that I did was submit the book to this contest run by Mark Lawrence, who's out of the U.K. The contest is the Self-Published Fantasy Blog-Off, and it's just for novelists who have self-published a fantasy or speculative fiction book. Authors submit their novel to this pool of bloggers and book reviewers. It goes through a championship system: Each blogger has 30 books and picks two to advance, that sort of thing. And so I entered this contest and didn't really think anything else of it. But four months later, I got word that the reviewer who was looking at my book had chosen a different one, and I was out. I was like, "Oh, OK." I wasn't expecting much; that was fine. But the reviewer wrote this impassioned explanation of the difficulty he had in choosing between my book and Phil Tucker's The Path of Flames, which is wonderful. Mark Lawrence, who read the review, decided that he was curious about this book that got knocked out. And so just on a whim, I don't know why, he read my book. And he decided that he wanted to be the book's champion. He put me in contact with this agent, which is something I'd never really pursued before. 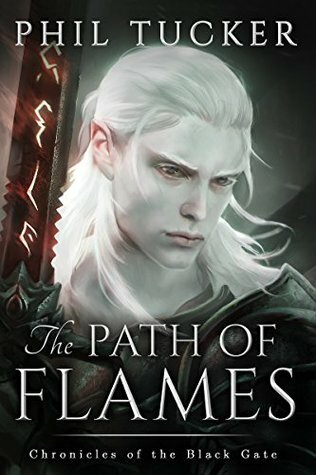 He got the community on /r/Fantasy, through Reddit, interested in the book. They started to read it. He put it on the radar of some Goodreads reviewers. That summer, Emily May [the most popular reviewer on Goodreads] read it, and she liked it. GR: What happened once your book got on Goodreads and into the hands of Emily May? JB: From there I think they called it "the hype train." You know how it works: When a reviewer who has some visibility gives something a positive review, and it attracts the attention of other reviewers. The attention that it got on Goodreads was contagious in a very helpful way, and my book started selling. The reviews that had been trickling in for three years suddenly started coming in in batches. I can't understate the role that Goodreads played in the success of the book. It went from being invisible to suddenly being on people's radars. It's not something I take lightly. If not for the community, I would not be here. Another testament to Goodreads' reach is how many international orders I started getting. They weren't just from U.S.- and Canada-based readers. I was sending books to Finland, New Zealand, Russia, Australia, and Norway. There was global interest. Once that started to happen, once I realized I was appealing to readers across that stretch of communities, I thought, "This whole thing might work." That all came from Goodreads. GR: Speaking of the community, we have a question from Goodreads member Gareth, who wants to know how much of the story you had in your head from the start. JB: Most of it. The story has this big arc, and pieces in that arc were clear to me from the beginning. The plotlines that developed out of secondary characters emerged from the process of discovery while writing the book. But the big story was something that I always had in mind, and I had the four books planned out before I finished the first one. GR: I'm impressed that you could hold all those ideas in your head! JB: Why? I don't want to celebrate too early! There's actually a lot of work left to be done. But I've never done this before. I've never written a series before, and I'm learning a ton. And that's made this whole process very interesting for me. I stand back going, "You know what? I had a poor understanding of how this would really go." It's been very educational. GR: So this is your first pass at fiction? JB: No. Well, I will say that I had completed novels in the past, but they were terrible. And so I don't want to count them. GR: When you set out to write this, was there a book that inspired you? 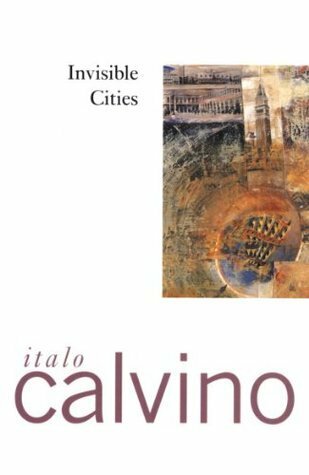 JB: When I started working on this in the spring of 2012, one essential book was Italo Calvino's Invisible Cities, which is this fabulous travel guide. It's definitely not narrative in its structure, but it has this sense of the fantastic and awe that I was missing. When I read that, I was like, "I want to write this." GR: Can you talk about your process? Did you sit down every day for two hours, or did you say, "I'm going to write 500 words today"? JB: I have never had any luck with any consistent habit for writing. Once, I bought a candle and said, "I'm going to sit at this desk, light this candle, and while the candle burns, I will write for two hours." And I just never did it. Never happened. I have what I would call an obsession as opposed to a process. I don't know how I wrote the first book; I just know that I was obsessed with it. Was I staying up late working on it? Yes. Was I writing on it in the middle of the day? Yes. I had a little tape recorder in my car because I had this monster three-hour daily commute, and I would just fill up this recorder with notes and ideas and quotes. And so my process is pretty much: the rest of life becomes eclipsed by the effort to do this thing. GR: Did you have a reader in mind? JB: I always tell other writers and students I've worked with, "Write to one other person. Just write to somebody." I didn't do that. I think I wrote that book to myself, which is a mistake. No one should do that! You should write books with an audience in mind! But I was just sort of doing what I wanted. While I didn't have a reader in mind, I was actively trying to make it enjoyable and entertaining to readers. Whenever I started a new chapter, I told myself, "Something important or exciting has to happen in this chapter, and if it doesn't, then it gets axed." GR: I love the writing advice on your Goodreads page. One of the tips is: Don't talk about your writing, just write. Do you follow your own advice? JB: That's one of my golden rules. I don't talk about the work while I'm doing it. It's very tempting to talk about a creative project that you're working on, but doing that, I think, lessens the urge to do it. Because you have that reward of people's interest—sometimes feigned, sometimes genuine. And that's, of course, what the author ego feeds off of. If you can get that kind of jolt just from talking about it—which is so much easier than writing the thing—why would you ever write it? And so I've given that advice to every writer who will listen to me. And it's funny, most of them say, "Yeah, that makes sense. That's what I do. I talk about it for two years, and I lose interest in it." GR: It's good people are self-aware. I thought they would say, "I don't do that," and then later tell you about their idea. JB: No. I'm still in correspondence with some of my old creative writing students through Twitter, and they'll say, "I want to tell you about this great idea." I'm like, "That's exciting! Don't tell me. Write it. Give me the book." 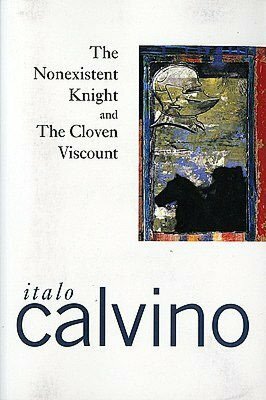 JB: The Nonexistent Knight by Calvino. 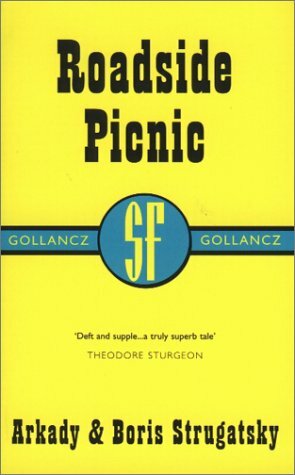 I just finished Roadside Picnic by Arkady and Boris Strugastky, who are Russian brothers. 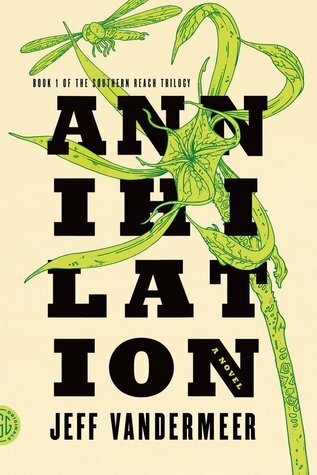 And before that I was reading Annihilation by Jeff Vandermeer and Red Sister by Mark Lawrence. GR: I have one quick question from Michael, who wanted to know, "Are there any plans to partner with a craft brewery to bring the pedaling beer fountain to life?" JB: Not yet. But that would be a lot of fun. Thanks for sharing. It's amazing Mark took you under his wing like that--seems like a great guy. Glad you didn't get discouraged, too--looking forward to picking up Senlin Ascends! Loved the interview, I now will get his book because I feel interested in reading it, way to go! Great interview. Orbit has been seeing quite a bit of success by picking up self-published stuff and re-releasing it. Some other examples that I know of. - Myself -- they took over my previously self-published Riyria Revelation books. And I'm sure there are others I'm forgetting. Great interview! I love the Books of Babel series! So excited that Orbit is picking this up. Hope the books get the recognition that they deserve! Loved reading this and hearing a bit more about Josiah Bancroft’s inspiring journey! This made me so happy! 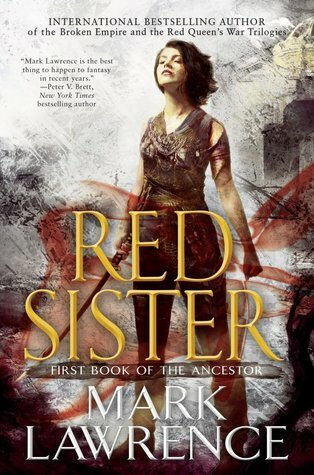 Strangely enough, it was reading Mark Lawrence's review that put this book on my radar! Now if only my TBR wasn't so long...! Still, I am so glad to hear of the great success story. Perseverence always seems to pay off in the end. Great interview! Definitely some food for thought. This book is now high on my TBR list. I really enjoyed this interview. Thanks for sharing your insights, Josiah! Always great to hear a success story especially from one who started out self-published and the struggles. Gives others hope and inspiration. Saw this interview so I started reading the free first chapters and now I’m hooked. Usually I read historical fiction and never liked fantasy but this book has changed my reading genre for sure. Great interview and sounds like an incredible series. All the best with the success you will create with this !! Very inspiring. Makes us feel like the journey is not over, it has just begun. I am beyond excited these books got picked up by a publisher. I read them in one of Mark Lawrence’s campaigns on Reddit and could not BELIEVE how good they were. I’ve been recommending them ever since. I work at a library and saw book 1 on our new shelf earlier this week and almost had a heart attack. A well-deserved turn of events, truly! I received this book in the book shop that I work, and I was really intrigued on how to sell it or what was it about, so this interview has been great for it! Many thanks now I am looking forward to read it haha. Terrific interview, Josiah! I had no idea that Mark Lawrence saw a certain something in your work and, in turn, helped support and encourage you (and others.) Fascinating insight, man! Congratulations!!! I can't wait to read Senlin Ascends. Calvino was a wonderful, fantastic writer -- it's good to hear a "shout out" for his work. "Invisible Cities" is the source of the epigraph for my just published novel "Tortuga -- A Confection of Blood and Gold." I hope Bancroft's interview here will inspire others to pick-up any one of Calvino's books. They will be rewarded.